Ann Wilson has announced her 2017 20-date solo tour. 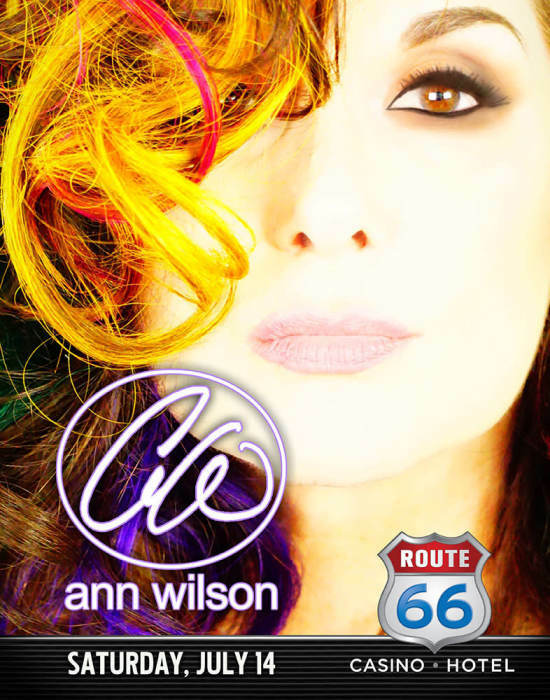 The Ann Wilson Of Heart cross-country trek kicks off Tuesday, March 8 at the Moore Theatre in Wilson’s Seattle hometown before moving on to Los Angeles, Denver, Philadelphia, Englewood, NJ and New Orleans among other cities. Ann Wilson of Heart is the next step of Ann's journey. The step that puts it all together. The present meets the past and joins the timeless. All of the songs that make up the essence of Ann Wilson will be on display; Heart songs, songs from Ann’s solo projects, and songs that have influenced and inspired Ann throughout her life. The show, like the woman herself, will know no bounds, Joined - not backed - by a band of true artists Ann’s true voice will be heard.